The Italian football season restarts this weekend amid turmoil and a lot of confusion. For once this isn’t a Serie A problem. 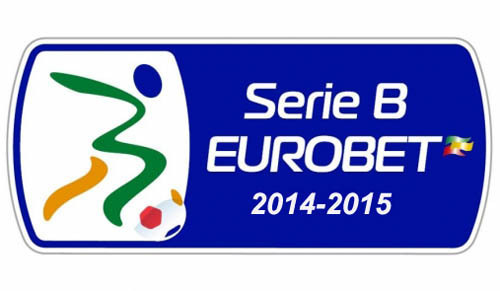 This year it is the turn of Serie B. The season begins with only 21 teams after Siena’s liquidation earlier in the summer. The season’s fixture list was finally unveiled on Wednesday and organisers were forced to refer to the missing club as ‘Team X’. 'Team X’ were due to stage the opening game of the competition at home to Latina on Saturday evening, although that will now be postponed. The league was initially cut to 21 teams as part of a long-term plan to eventually reduce it to 20 teams. However, Novara, the highest placed of the four teams relegated last season, protested and an Italian Olympic Committee (CONI) tribunal ruled that Serie B must continue with 22 teams this season. The Italian Football Federation (FIGC) was asked to find the 22nd team and declined to automatically include Novara as they are among the clubs who have had points deducted in the last two years over the Calcioscommesse match-fixing scandal. Instead, the FIGC chose to use a complex ranking system to choose a team from among those who were either relegated from Serie B last season or finished in the top half of the third-tier Lega Pro. The FIGC will award points based on each team’s position in the league last term, their city’s “sporting tradition” and the team’s average attendances over the past five seasons. It appears that Pisa and Juve Stabia are the best placed teams, although Novara, who would have finished top of the rankings, have appealed against their exclusion. At least 12 teams are in the running for the vacant spot which means with the season days away none of them know which division they will play in. The FIGC is expected to announce its decision on Thursday, although that could be postponed by further appeals against clubs who think they have been hard done by. Avellino, Bari, Bologna, Brescia, Carpi, Catania, Cittadella, Crotone, Frosinone, Latina, Livorno, Modena, Perugia, Pescara, Pro Vercelli, Spezia, Ternana, Trapani, Varese, Virtus Entella and Virtus Lanciano…and Team X!! Unsurprisingly, ahead of the new campaign, the bookmakers have Catania, relegated last season from Serie A, as slight favourites to win the title ahead of the two other relegated sides Bologna and Livorno. It is hard to see past these three sides for promotion, but they will face stiff competition from sides like Bari, beaten in the Promotion Play Offs last season, and Pescara. It could be a long season for Virtus Entella and Pro Vercelli. Entella, last season’s Lega Pro Prima Divisione champions ,will compete in Serie B for the first time. Pro Vercelli are also back after promotion. This famous club has 7 Scudettos to their name, sadly the last title was won in 1922. As the season unfolds, there are bound to be many twists and turns. Who knows, Team X could be the team to gain promotion to Serie A.